Ben Clement doesn't have a personal statement currently. Short version, I have 80 brand new, steel, Gorilla-brand lug nuts, 12x1.5 threads, acorn seat (for most aftermarket wheels). I don't need these. I would like to trade a six-pack/bomber/post-event beer for however many you need for your car. Easiest to trade at any Tucson event. Offer stands until they're gone. PM, email, or post here and I'll bring them to an event. 2005 Saab 9-2X Aero. 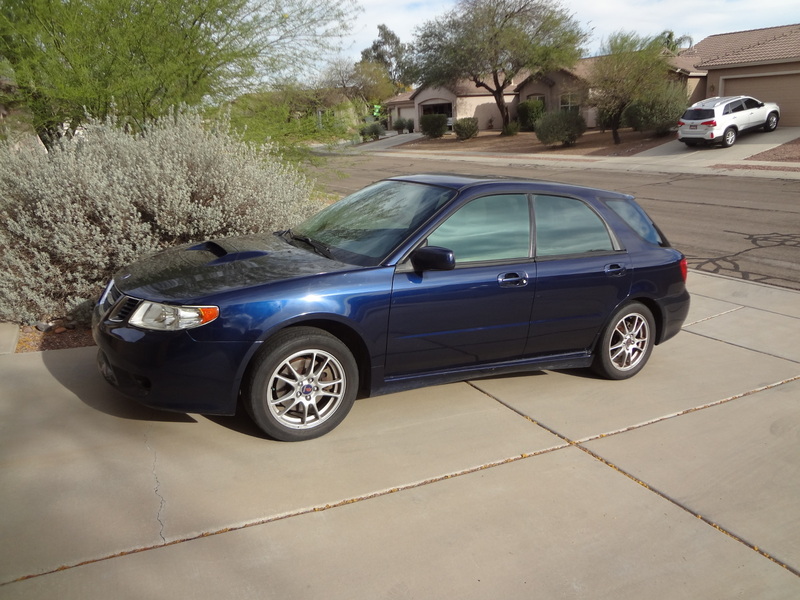 For those that don't remember, this is mechanically a Subaru WRX wagon. You can read about many of the differences here. - overdue for timing belt change. last done at 104k. - front seat bottoms are kind of dirty because they're white cloth. I will clean them but they'll never be like new. It has been a solid and very reliable car for the last 11 years, it just has a lot of miles and we were ready for something new. If you're interested in this car for rallycross, Kevin V has a set of stock-size wheels with snow tires available for purchase! Asking $2500 OBO. The replacement car is here already, so I'd like to sell this soon. Grab a trailer, pick it up, and come to M4! Somehow put together a great TO run but picked up a cone! 53.6. I just bought and assembled this yesterday. Unfortunately it's too low, and I'm not going to mess with multiple adapters to make it work. I can return it, but I thought I'd see if anyone wanted to pick this up pre-assembled. The 40 pairs of fasteners required to put this together are a pain for a variety of reasons. Asking $75, which I believe is the lowest price HF ever charges for this on coupon (including tax). If there's no interest by this Thursday I'll just return it.